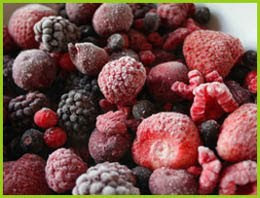 Food Meditations...: Anti-Ageing Foods: Canned, Frozen and/or Fresh? Anti-Ageing Foods: Canned, Frozen and/or Fresh? "Eat one portion of any three of these superfoods to look ten years younger plus the eight diet fundamentals"
Is Canned and Frozen Produce as Healthy as Fresh? "But the majority of us get our food from supermarkets, where it’s spent weeks traveling in a truck or on a plane, only to sit on shelves for even longer."